This is a new recipe we're trying for Ramadan. and I must say it has a quiche taste to it. It was a hit and defiantly cannot wait to have them Ramadan time. This Ramadan prep we have tested a few recipes which I will be sharing with you all. so it's much more crisper. Please note when it comes to sour cream over here there was no halaal one so I substitute it with the fresh cream and couple of tsp of yogurt. Make this separately and taste to see if its sour but not overpowering. Marinate the chicken strips overnight or for at least a couple of hours. Mix together some dry parsley (Robertsons) and breadcrumbs, also whip 1 - 2 eggs in a separate bowl. 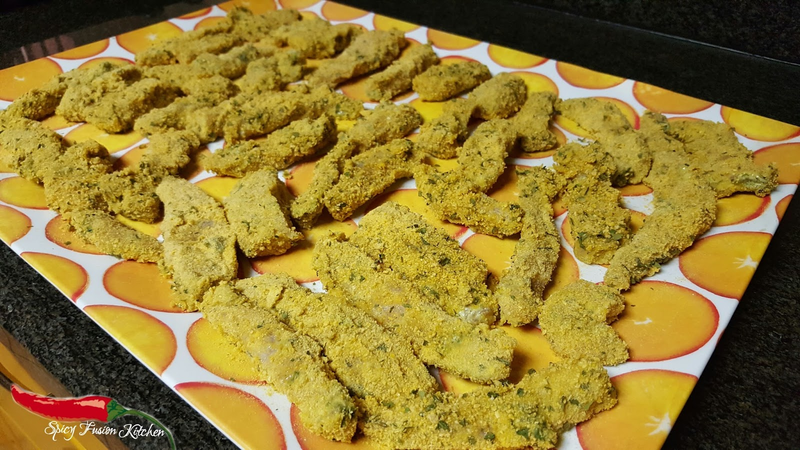 Dip your chicken strips into the egg mix and than into the breadcrumb/parsley mix. When all is done, freeze for a couple of hours till its hard and you can place them in a tupperware and store back in the freezer to be fried or baked when needed. You can bake for 20 minutes in a pre-heated oven or fry in shallow hot oil for 15 minutes till golden brown. or simply search on the site or google with my 'spicyfusionkitchen' next to the recipe name. I am always in search of new marinations for chicken peices. Glad i found it but i am not a big fan of mayo. I hope the recipe will turn out well without mayo too!!! Thank you and hope you enjoy! I love easy recipes especially for Ramadan because who wants to hassle making something complicated. I fried them, I want to try grilling them in the oven and see how it turns out. But fry in shallow oil so it's not completely soaking. 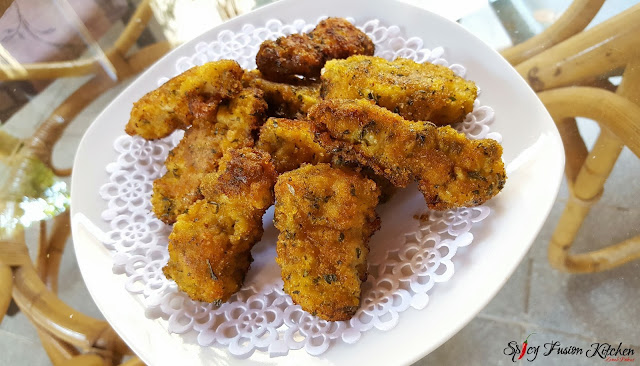 Yes you can the 2nd batch we made we didn't have lemon herb so we substitute it with lemon pepper and it tastes amazing! Loved it! Will definitely try it. 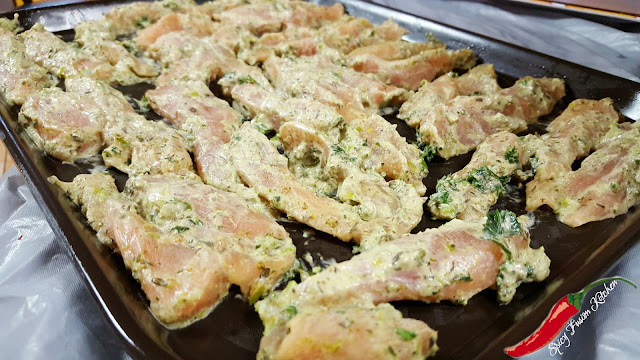 Using sour cream as a marinade is an awesome idea! The flavour is so tasty, gives off a quiché taste which I love! It's very filling as well. I love Chicken strips and such crispy fries. This is a new recipe to me.. I'll surely try them this year. I wonder if I'll get the zesty herb thing here. 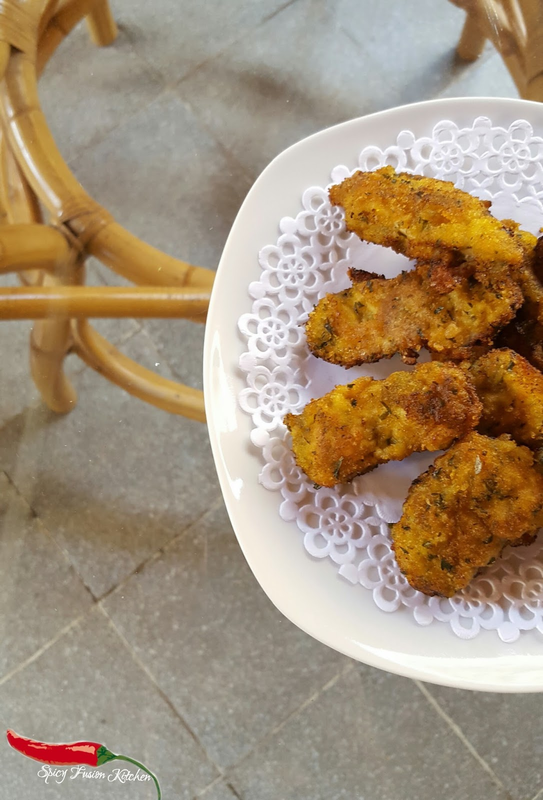 Fried chicken is like a favorite to all during Ramadan! This would be a great recipe for Moms with kids! Exactly even after Ramadan great after school snack or a quick meal because surprisingly it's very filling! Gonna try this in Ramadhan. Some finger foods are always popular in the festive month ahead. Yes it is! lol it's quick and easy which is perfect for Ramadan. Thanks for the recipe! I have to try out your marinade in sha Allah.